PhD. 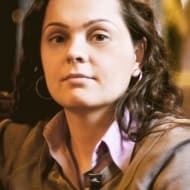 Tugce Varol; academic, author and strategic analyst. Tugce Varol has been working as a scientific adviser for 21st Century Turkey Institute since 2011. She is working on Energy Security Policies of Russia, Turkey, Middle East and Central Asia. Was Russia’s Syrian Campaign Aimed At Turkish Energy Security?